to meet the specific needs of your company. and dump the contents into the truck. including garbage collection, recycling and rolloff container rentals. 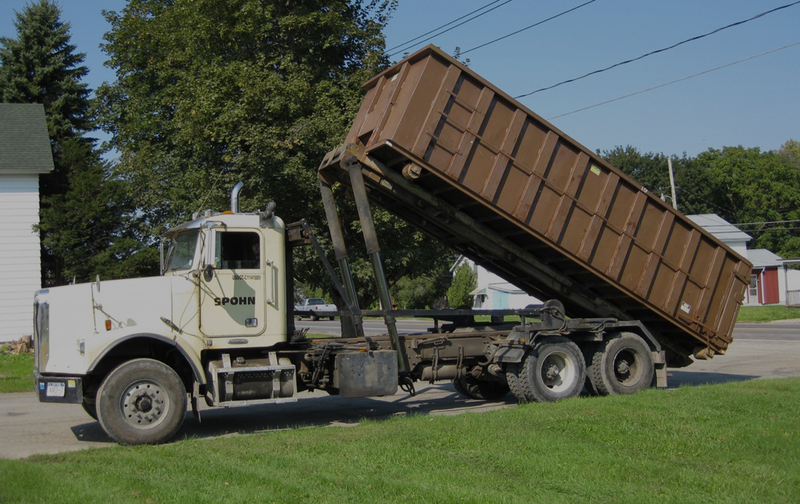 Spohn Disposal Service provides private residential customers with toter service for trash and automated pickup for recyclables. 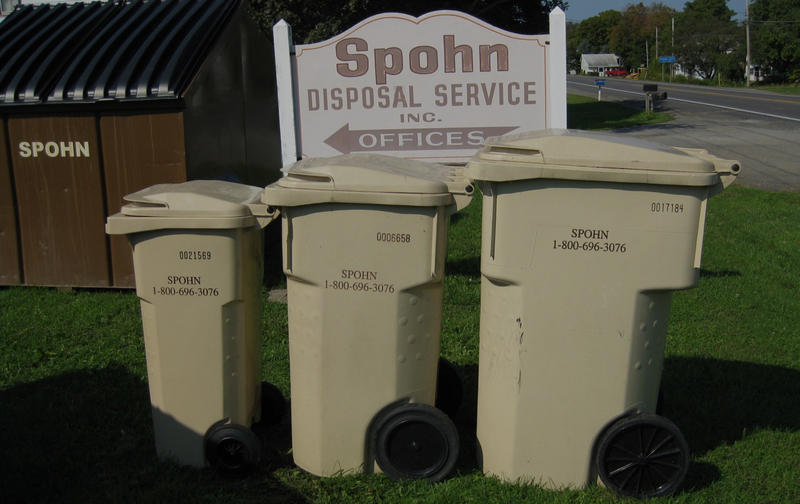 We provide professional waste removal and recycling services with a personalized touch that will make community glad you decided to use Spohn Disposal Service. Spohn Disposal services Herkimer and Oneida Counties. 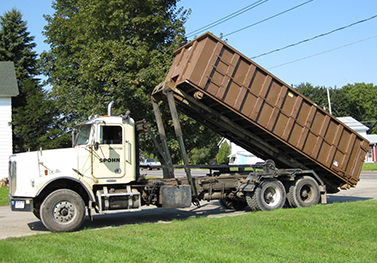 We can provide front or rear load dumpsters and roll-off containers in sizes that will fit your business needs. 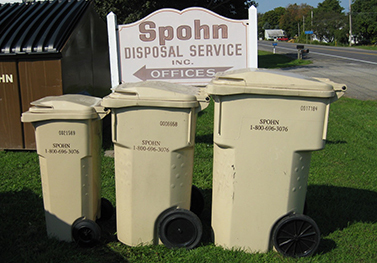 Spohn Disposal Service supplies extremely durable toters at no additional cost, eliminating the need for personal cans or bags. Call our service representative today! If you need to dispose of a large volume of waste, construction materials, talk with your helpful Service Representative about rolloff service. Whatever level of trash service you require, our service representatives will help implement the most cost effective waste collection and/or recycling program to meet the specific needs of your company. 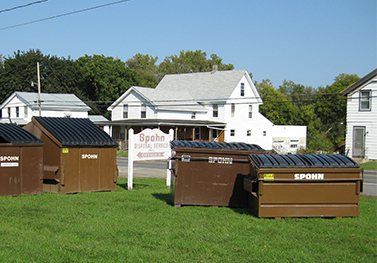 Spohn Disposal Service is a family-owned & locally operated waste collection and recycling company, serving numerous communities in Central New York for well over 50 years. 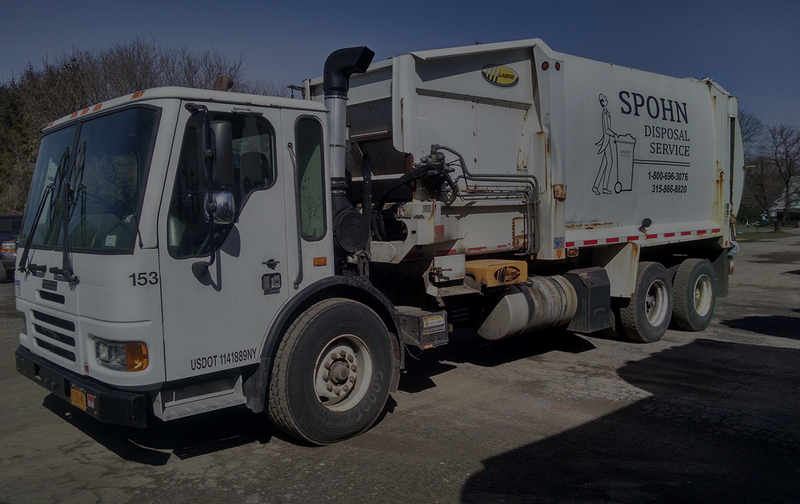 Spohn Disposal trucks are now equipped with an automated arm that will pick-up your recycling cart and dump the contents into the truck. Learn more. Holidays which fall on Saturday and Sunday DO NOT delay waste removal services for the remainder of the week. Check our schedule.